Ticket prices for this special event are $35/pp before May 31st. PLEASE PRE-REGISTER. After May 31st and at the door, the price will be $45/pp. Seating at the luncheon will be “gallery” style where tables are reserved by decade i.e. the 40s, 50s, 60s, 70s, 80s. Come early to sit with your classmates. There will be a delicious hot buffet including salmon and chicken, side dishes, salads, fruit and of course, dessert! We will have two no-host bars for your convenience. We will be again hosting a Silent Auction. Remember that we are a non-profit 501 (c) (3) and donations are tax deductible. All sales benefit our Scholarship Fund. We need donations! Talk to classmates, friends, and local businesses…please support our Silent Auction: donation form: please click here. Of course, we’ll have our Lynx merchandise on display with some great new “must have” items. A limited number of rooms reserved at Studio 6 Extended Stay (Motel 6), Mountlake Terrace, for out-of-town guests. Call 1-800-466-8356. Ask for reservations under Lincoln HS (LLAA)-10% discount if over 60 yrs. old. Book now! Those of you who use the site regularly, you might see a small change only if you were using instant messaging. The cost saving to eliminate this feature was substantial. Update your profiles if there are changes. Please scroll down to the Lincoln High School re-opening link and have a look at what's happening to our school. There is another link in there that will take you to the "new" lincoln page through Seattle Public Schools site. If this is your first visit and you are a member of our graduating class, you are already included on our register. Navigate to the log in, confirm with us who you are, add a password and you will have all the privileges. If you were a former teacher or staff-member please contact us through this site and we can add you in. For non-'62 graduates who wish to contact one of us you can use the contact us button and an administrator can forward the information to a member. You will not be able to do so on you own because our information is secure and only for those who have a password. There are further security measures to protect our classmembers information. A classmate mentioned that they wanted to contact another classmate but they weren't sure how to do that. You can contact any other classmate who has registered at the website by selecting the "Classmate Profiles" link on the upper left of the Home Page, then select the name of the person in the listing on the page which appears. If you select the person's profile, you can see the details that they have made available and at the bottom of the page is a private message box. The messages will be sent through the website so you can maintain privacy of your email if you wish. Once you've made contact with the other classmate, you can of course exchange private email addresses if you wish. The profiles on this site are readable only by classmates unless you wish them to be public. On your profile page, you can select an option to keep your information only for 1962 Classmates, all LHS alumni only or go public. This option is available at any time by using the "Edit Profile" link in the left column, and then selecting "Edit" at the top of your Profile page. We encourage use of this website to reacquaint ourselves with our classmates. Remember, however, that comments posted to our Classmate Profiles are readable by all classmates. If you wish to keep a comment just between you and the other classmate, use the Private Comments option. (Option available just under the Classmates Profile photo.) If you are including the name of another classmate, be sure that you are not infringing on their privacy. 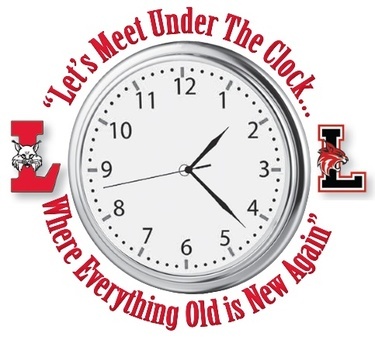 Here is a website link updating the new Lincoln High School! Please take a look at the virtual tours.